Egyptians following the Mars Curiosity rover  are celebrating the work and life of NASA researcher Dr Essam Mohamed Heggy , a planetary scientist who is a member of the science team involved in the discovery of life on Mars. @TheBigPharaoh : Essam Heggy is one of NASA's scientists and he is involved in Curiosity's journey. He was expelled from Cairo University and not accepted in the Egyptian Army. End of story. @TheBigPharoah : Essam Heggy is one of the NASA scientists involved in Curiosity's voyage to Mars. He was rejected by the Egyptian Army because of a speech impairment. Stupid army! 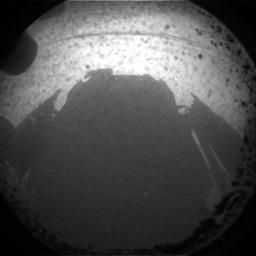 Curiosity is NASA's latest attempt to go where no man has gone before. Before this mission, the U.S., Russia, Japan and Europe had sent about 40 spacecrafts  to Mars. Twenty-six had failed. During the 23 months after landing, Curiosity will analyze dozens of samples of rocks to access whether Mars could ever support  human life.